Black and White. Image of a Micral R2E Pluggable unit, Hard Disk Controller ( Read). 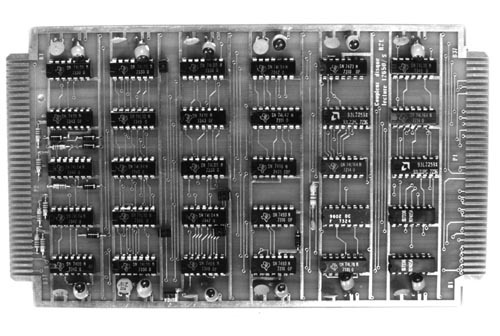 It has 24 chips, with capacitors and resistors. Etched on unit "Coupleur disque ledture 12650/S R2E"